He has developed several groundbreaking works on Tanya including: the Tanya Map teaching tool, the JLI Soul Maps curriculum, and the audio series Mapping the Tanya. His speeches and classes may be viewed on the website SoulWords.org. 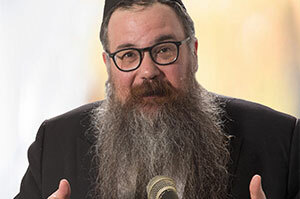 He currently serves as scholar-in-residence at Chabad of the Five Towns in Cedarhurst, NY. Is being sad really that bad?. Is being happy really so important?. Wouldn't the G-dly soul have been enough for us? Why do we need the other soul?. What having two souls teaches us about our divine service.